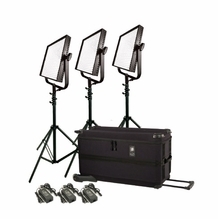 LED Light Kits for Studio Lighting and On Location Interview Lighting. 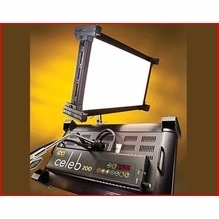 Featuring leading LED brands | LitePanels | F&V Lighting | Arri | Dedolight | Lowel | Mole-Richardson. There's nothing worse than wasting a day of shooting by having to continually tinker with unreliable lighting. 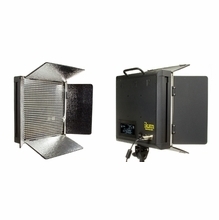 Here at BarnDoor Lighting Outfitters, we represent top-rated LED video lighting manufacturers that offer video lighting kits to help with everything from on-location interviews to studio shoots, from setup to wrap. 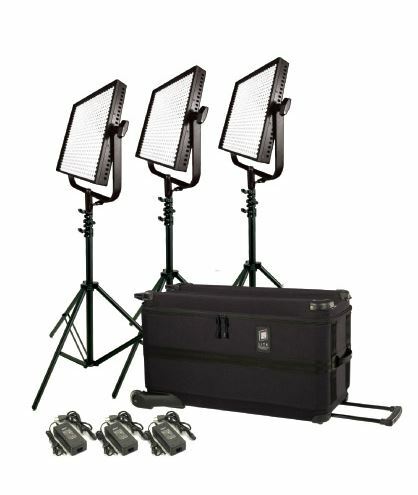 These studio LED lighting kits are designed, tested and recommended by top videographers and lighting designers for creating the optimal lighting environment. 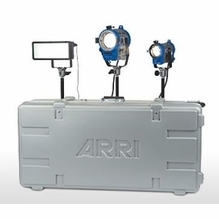 We carry LED studio lighting kits by Arri, F&V, Ikan, Kino Flo, LiteGear, LitePanels, Lowel, Mole-Richardson Co. and Rosco that are ideal for use by professionals in the film and television production community. 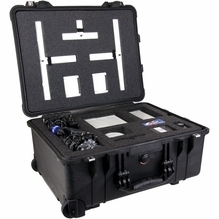 Ultra-even, state-of-the-art optics are designed for industry professionals who value ease-of-use and long-term reliability. 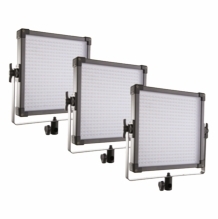 Film and video production LED video light kits feature exceptionally long-lasting construction, efficient light output and a slew of versatile configurations for custom studio lighting in many environments. 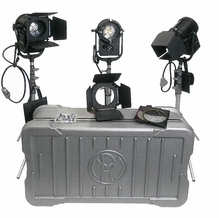 BarnDoor Lighting Outfitters carries the right LED light kits for film and video use. 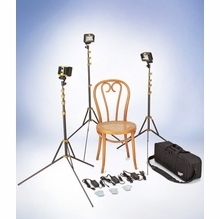 These all-extensive professional lighting kits contain essential equipment for capturing the right environmental lighting, including on-camera lights, barn door lights, beam shaping accessories, batteries, stands, carrying cases and more, depending on the specific kit you choose. 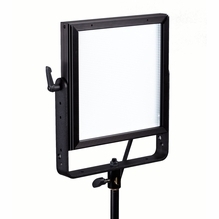 Many kits offer high-tech lighting functionality with multiple mounting options, auto settings, broad color temperature ranges and so much more. 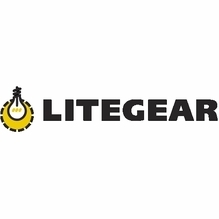 Because these kits have LED lights, you can expect longer lamp lives and extreme energy efficiency.